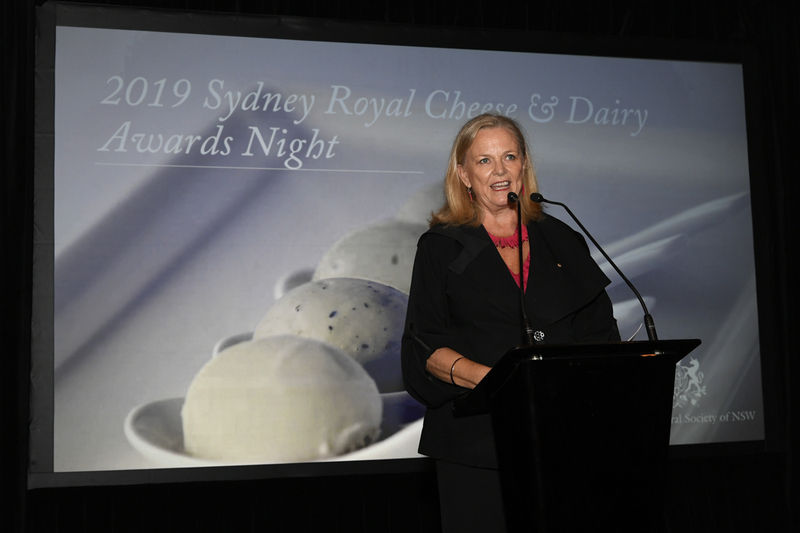 Another busy week, kicking off on Monday with the Sydney Royal Cheese and Dairy Produce awards which I was delighted to MC. The integrity of Sydney Royal competitions is second to none, and I always delight in the joy and pride of the winners. Read more further down. Thanks too to The Daily Edition on the 7 Network and everyone who responded to my segment last week promoting the Farmer cookbook with all proceeds going directly to drought relief. The response was outstanding and The Daily Edition thoughtfully did a follow-up mention this Monday on the progress. You can see it here when we were up to $48,000, but watch the clock tick over as more people donate here. Now over $54,000. New to your local greengrocer – dinosaur’s egg melons. Officially they are a white rind honeydew melon with attractive variegated green strips. The white flesh is extremely sweet eating with a delicate melon aroma. This new melon is very delicious so definitely worth a try. Alternatively the super sweet Piel de sapo melons (also known as Christmas melons) are in good value. Wash melons before cutting to ensure no soil is on the rind. Late summer is peak plums season. Delicious eaten as snack; plums are also a different addition to a salad and a beautiful dessert. Luscious, sweet figs are sublime. Figs team equally as well with savoury foods such as nuts, meats and cheese, try them in a salad like this Fig, Honeyed Walnut & Blue Cheese Salad as they do with sweet ingredients such as citrus and chocolate. Gourment Traveller has some great Fig recipes. New season Williams pears are superb quality and top value. There is nothing quite like a new season apple. Bilpin and Stanhope apple harvests are underway and Royal Gala apples are sweet, juicy and crisp. Available from February through to August, Royal Gala apples are a medium sized and the skin has a yellow base with red flushes. Tangy limes are plentiful and very affordable, also for bulk buy specials. To maximise the volume of juice you get from a lime, roll limes between your palm and the benchtop to loosen fibres before cutting and juicing. 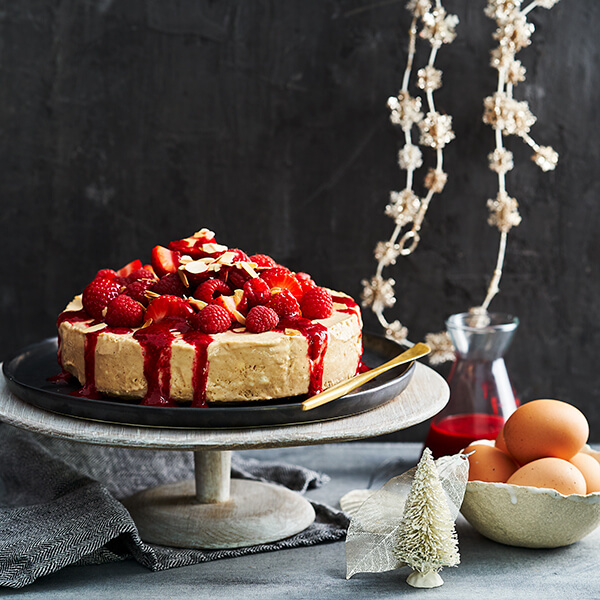 This Lime Cheesecake With Summer Fruits is a crowd pleaser. Sun-ripened golden and white fleshed peaches and nectarines are at their prime and brimming with flavour. The large golden skinned and fleshed Golden Queen variety has started, these are a gorgeous peach to preserve or poach. Originally from the Queensland rain forests finger limes, are tiny citrus fruits are about the size and shape of a thumb. Inside the finger lime, you’ll discover juice-filled pulp that resembles small ‘pearls’ that burst in your mouth with a vibrant citrus tang. Delicious with oysters try this Finger Lime & Ginger Dressing. Also wonderful in a gin and tonic. Grapes season is here and fruit has never tasted sweeter. 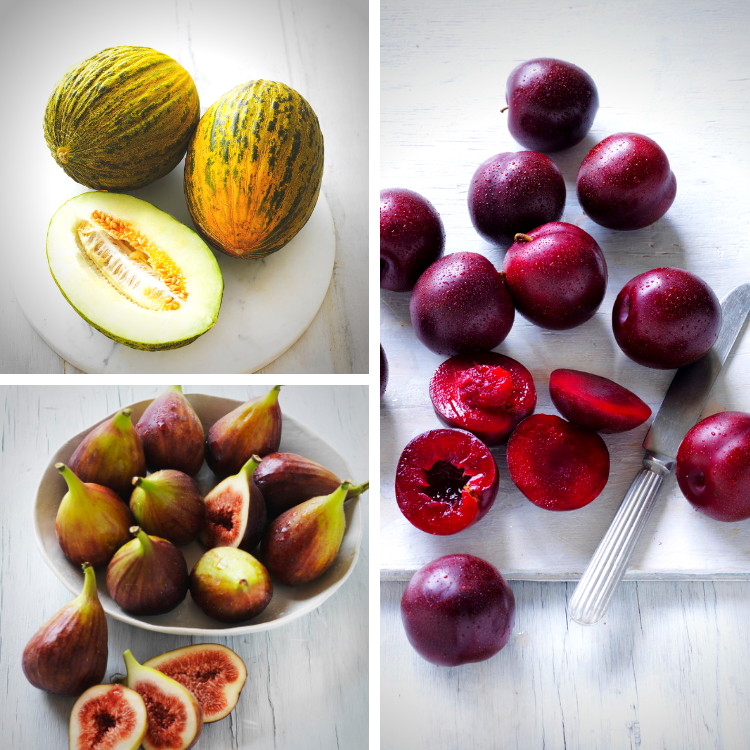 Select from seeded and seedless varieties, with grape colours ranging from pale green, pink or black. Varieties include Crimson, Menindee seedless, Muscatels, Sultana, Thompson and Cotton Candy. Versatile carrots have a superb flavour and are rich in vitamin A. This variety is distinguishable by their deep orange colour and shorter and thicker shape. Versatile snake beans are in season and tender. Steam or stir-fry to serve as a side dish or add to a stir-fry. 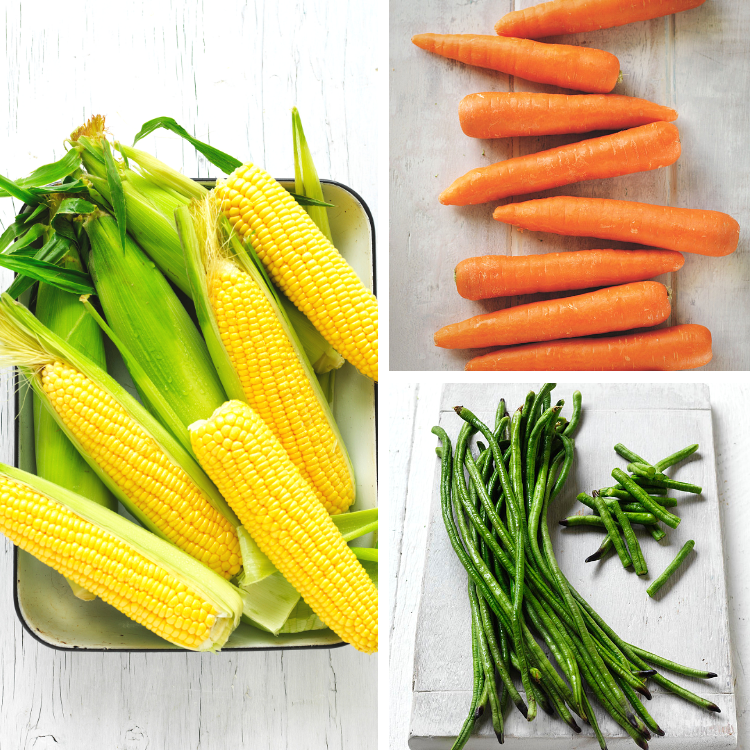 Golden cobs of sweetcorn are a popular buy and a family favourite. Boil whole cobs or remove kernels for fritters, muffins and salads. Try this mid-week meal Mango & Corn Salsa With Sticky Pork Tortillas. Leafy and nutritious kale is a popular choice for green juices, stir-frying or adding shredded to frittatas and omelettes. Add a bunch to your shopping list. Serve kale as a super nutritious and tasty side dish teamed with garlic, currants & pine nuts. Fleshy, red capsicums are a thrifty buy. Pumpkin has brilliant flavour, colour and texture. Rich in vitamins A & C this veggie shines when roasted and added to salads or served as a side dish. Try this Jap pumpkin with parmesan & seed crumble. This week Jap, Jarrahdale and Butternut pumpkins are a choice buy. Crunchy Iceberg lettuce is a top buy. Core lettuce and cut in to large wedges dressed with your favourite salad dressing. Icebergs pleasant crisp texture makes them a top addition to rice paper rolls, teamed with mango and chicken. Victorian and Sydney grown salad and Roma tomatoes are a lovely seasonal. Try our Tomato & Fresh Mozzarella Salad With Basil & Garlic Crumb. With their mild onion flavour leeks are the perfect choice for teaming with mushrooms, eggs, tomatoes and seafood. Larger leeks are sold by the stem, while thinner stems are sold in bunches. Thickly slice the plums, place in medium saucepan, and add the sugar, five spice powder, star anise and the orange zest and juice. (Top up with a little water if less than 125ml). Place over a low heat and stir gently until sugar dissolves. Bring to simmering point and remove the softened plums with a slotted spoon. Set aside to cool. Increase heat to high and cook the remaining liquid, stirring occasionally for about 20 minutes, or until thick and syrupy. Remove from heat to cool, remove and discard the star anise. Beat the butter and sugar in a small mixing bowl with electric beaters until light and creamy. Add the vanilla bean paste and egg, beat well. Using a spatula fold in the ground almonds and flour to form a soft dough. Place on a lightly floured surface and knead gently (about 30 seconds) until smooth. Shape the dough into a small rectangle, cut off one third and wrap it in plastic wrap. Wrap the remaining piece in plastic wrap also. Refrigerate pastry for 30 minutes. Pre-heat oven to moderate, 180°C (160°C fan-forced). Lightly grease a 35cm x 11cm fluted tart tin. Roll the larger pastry rectangle out on floured surface, or between two sheets of baking paper to a 3mm thickness. Carefully place pastry in tin to line the base and sides, trim edges. Place the tin on a baking sheet for easier handling and to ensure an evenly cooked golden pastry base. 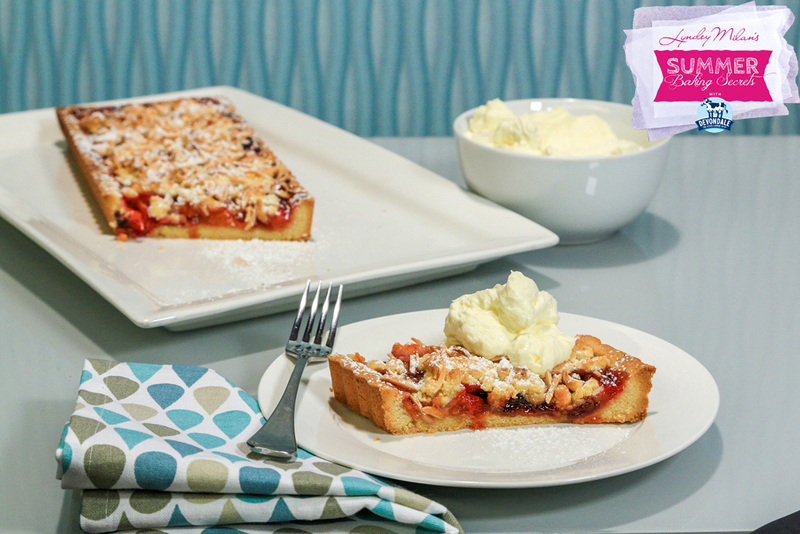 Combine the cooled syrup and plums, and spoon into the pastry case. Crumble the remaining rectangle of pastry (and any pastry scraps) over the plums. Sprinkle with almonds. Bake for 30-40 minutes until pastry is golden and the plums are bubbling. Remove from oven, cool a little. Serve warm, dusted with icing sugar and whipped cream. Can be stored it in an airtight container in a cool place for up to two days and served cold. Lyndey’s Note: This pastry dough is rich and buttery, handle it gently and don’t over knead. If it tears or breaks as it goes in the tin, simply press pieces together. Any scraps are perfect to add to the crumble topping. It’s important the filling is cool when you place it over the pastry. This helps the pastry become crisp rather than soggy. The results are out for another year, a reliable guide for your cheese and diary product purchases. Each year at the Sydney Royal Cheese competition, held by the Royal Agricultural Society of NSW (RAS) , the Australian Cheeseboard is selected from cheeses which have won championships and medals in their individual classes. This year judges described them as the best seen in recent years. The Competition saw a spike in entries whilst judges also noted an increase in quality, attributing that to the willingness of producers to take on board feedback from judges each year. Other winners included Pure Gelato which took home Champion Gelato for its Salted Pistachio Gelato and Champion Novel Ice cream or Gelato for its Pure Gelato Cannoli. Champion Ice Cream or Frozen Yogurt was awarded to Serendipity Ice Cream’s Serendipty Blueberry Ripple Frozen Yogurt and The Gelato Factory by Charlie took home Champion Sorbet for its Extra Dark Chocolate Sorbet. Champion Butter went to Fonterra Australia, Duck River Premium Butter while Brownes Food Operations took home Champion White Milk, The Jim Forsyth Perpetual Trophy for its Brownes Extra Creamy Milk, Champion Flavoured Milk went to the Hunt & Brew Colombia Coffee and Champion Yoghurt or Cultured Milk Product, The Bega Cheese Perpetual Trophy for Brownes Natural Vanilla Bean Yoghurt. Bulla Dairy Foods won Champion Cream for the Aldi Farmdale Light Thickened Cream and Kenilworth Dairies Kenilworth Dairies Rich Chocolate Mousse was named Champion Dairy Dessert, Custard & Mousse. Champion Sheep, Goat, Buffalo & Camel Milk Product, The Simon Johnson Perpetual Trophy went to Berrys Creek Gourmet Cheese for Sunrise Plains. 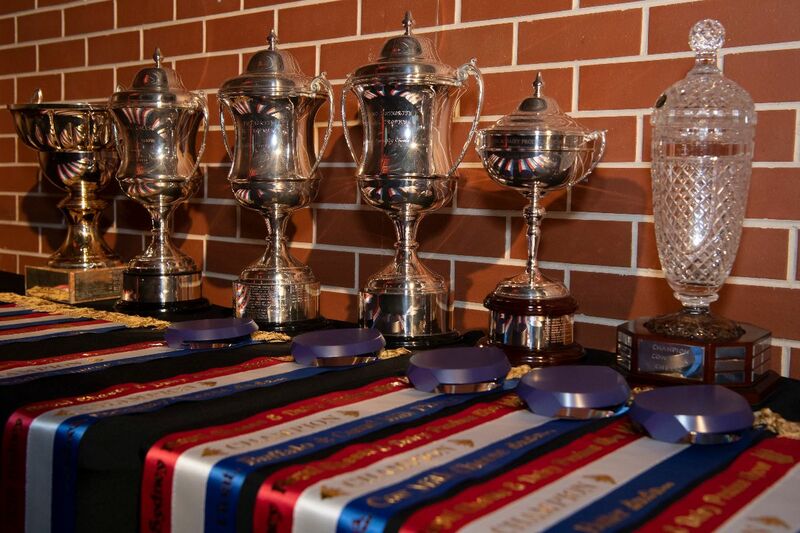 For further information and all results visit the Sydney Royal website. Batonnage is French term for stirring the lees during the aging and maturation of wine. It gives its name to a range from Bremerton in acknolwedgement of the experimentation and winemaking skills in the development of the wines. A passion for Malbec sees it blended in the 2017 Shiraz Malbec from premium estate-sourced fruit. The palate shows elements of shiraz and malbec , yet very approachable, with red fruit and white spice, fine French oak and a lingering finish. Cellar it if you can resist drinking it immediately. It is also vegan friendly. Sauvignon Blanc grapes – can they age like pinor noir? 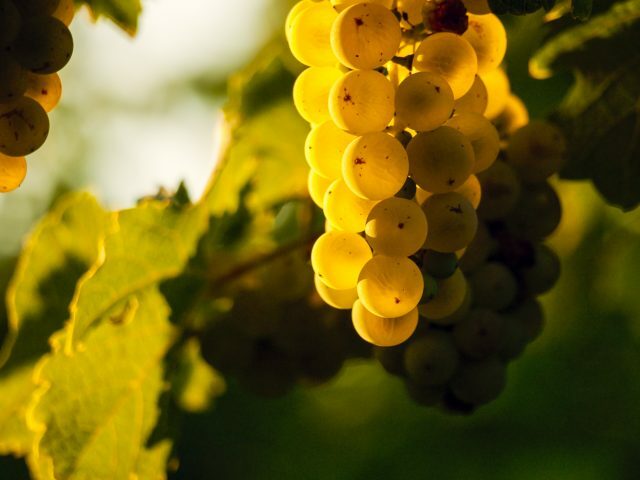 The Drinks Business explores whether Sauvignon Blanc wines are “as ageworthy as Pinot Noir”. Interestingly, I remember in the very late 80s or early 90s at the Exhibition of West Australian Winemakers in Sydney, the legendary Di Cullen pulled a 1982 sauvignon blanc from under the counter for me to try when I had comment that this variety didn’t age well. I was wrong – it was amazing. The Gault Millau 2018 Australian awards have been announced. Read about the finalists and the winners here. Jeremy Ryland also writes about Ice Cream: A delectable history. Husband and wife team and winners of BBC Two show Million Pound Menu 2018, Rupert Smith and Marita Lietz of Bubble&, are set to open Bubble& Café Bar at chef Atul Kochar’s Amersham restaurant, Hawkyns on 25 February. The menu will feature bubble and squeak themed dishes including a traditional bubble and squeak with a soft poached free-range egg, smoked streaky bacon and a hollandaise sauce. The Dragon’s Den for aspiring restaurateurs, BBC Two’s Million Pound Menu offers the opportunity to present food and business plans to some of the food industry’s most influential investors. Bocca di Lupo’s head chef Daniele Ceforo and River Cafe’s Joshua Owens-Baigler, are opening Angelina in Shoreditch which will fuse Japanese and Italian cuisines.The menu will feature cavolo nero, tonkotsu, egg and keta caviar, unagi risotto with burnt soy butter and dashi, and black sesame and milk chocolate panna cotta. An eight-plate sharing menu starts from £38 with an optional wine pairing for an additional £35. A daily plate will also be available for £9 or £12 when paired with a beer or glass of wine The drinks menu promises to include both Japanese and Italian cocktails and wine. The World Restaurant Awards have made their inaugural awards. Full list here. Already there is criticism that they are not as inclusive and innovative as they promised to be. Read Eater. London’s Noble Rot was the only UK restaurant to feature at the awards. Picking up a prize in the small plate category, the Bloomsbury-based eatery won the award for the best ‘red wine serving restaurant’, beating the likes of Le Baratin in Paris and Roscioli in Rome. I have written about it previously in 6 London bars you need to visit. The main prize, that of Restaurant of the Year, went to South Africa’s Wolfgat, which is based in a 130-year-old cottage by the sea. The restaurant, which specialises in local seafood and foraged plants, also picked up the Off-Map Destination award. 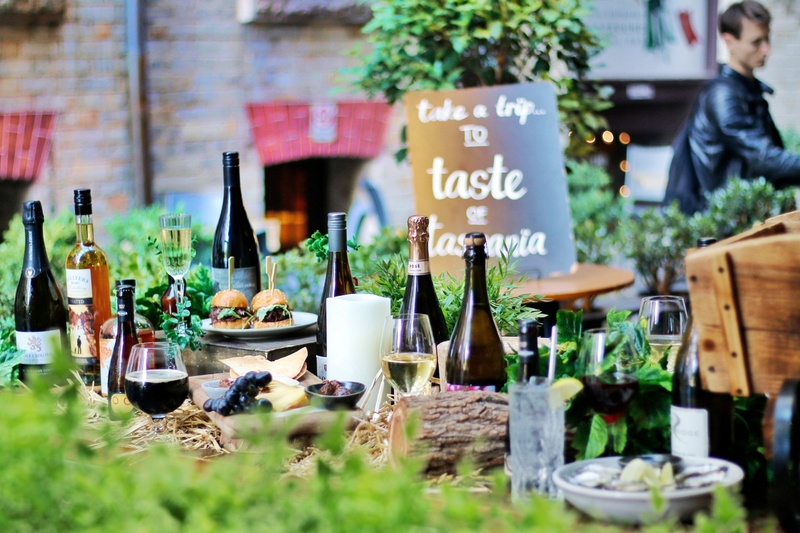 On 6 March, Three Bottle Man, in partnership with some of Tassie’s best producers, will transform part of intimate and vibrant Bulletin Place laneway in the CBD into a cellar door.There will be multiple stalls showcasing Tasmania’s best wines and spirits, interspersed with live oyster shucking, interactive cheese stations, food stalls, roaming trays of delectable hot food, and more. 2019 F.O.O.D Week festival is holding an Orange-inspired dinner at Three Blue Ducks Rosebery, showcasing the best of Orange’s produce and award-winning wines. Meet producers and wine makers from the region and be seated with them while enjoying a three-course feast. 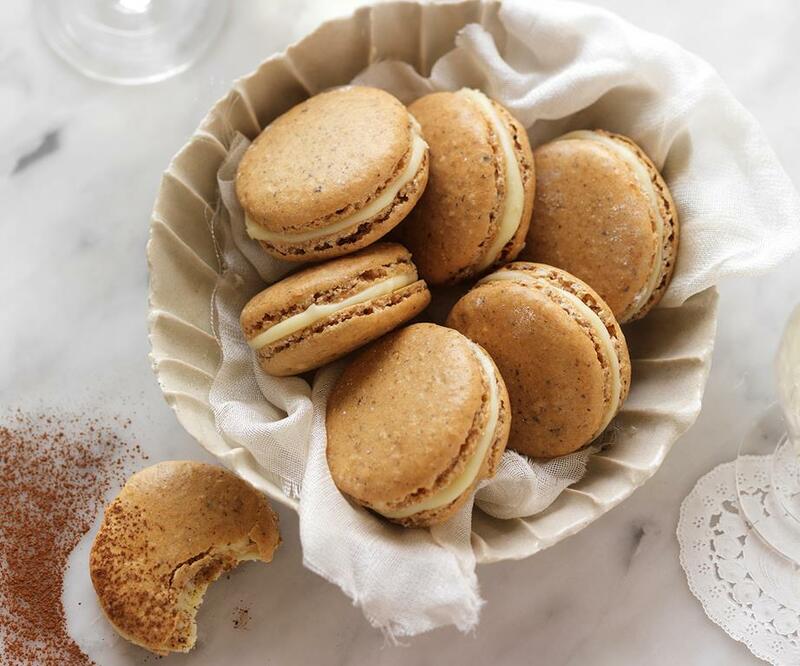 Women’s Weekly Food explains The difference between macarons and macaroons. And also, How to make apple crumble. Gourmet Traveller shows How to make a perfect sponge cake. I’m taking a break from these weekly updates for a couple of weeks. I am travelling to Singapore and then London next week, then on to Oslo for the Parabere forum. So keep up to date with my travels on all my social media channels: Facebook, Instagram, Twitter and Pinterest.